As the summer holidays are drawing to a close and families are returning to Hong Kong, parents and children are preparing for the start of another school year. Many children will be looking forward to starting school again, embarking on new activities and getting to know new teachers. Others, however, maybe feeling a little apprehensive, particularly if they are joining a new school or a new class. For parents, you might be bracing yourself for whichever bug or infection your child will pick up this year and wondering if there’s anything you can do to boost your child’s immune system! There is! Click here for tips on healthy eating. Acute common illnesses in children, such as colds, sore throats, stomach flu, as well as persistent, chronic conditions: allergies and eczema can be quickly and effectively treated with homeopathic remedies. Homeopathy boosts your child’s immune system, making him or her stronger from the inside and more resistant to diseases on the outside. I have seen amazing results in children suffering from a wide range of conditions, emotionally and physically. Every homeopathy treatment is individualised and aims to cure the child from the inside, this combined with no side-effects makes it an ideal and safe choice of treatment for children. Here are a few childhood cases to illustrate how Homeopathy works. 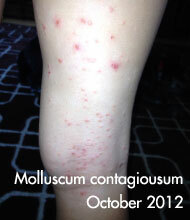 Laura, a lively 6-year-old girl at the time her mother brought her to see me, had been suffering from Molluscum contagiosum for over 6 months. Molluscum contagiosum (sometimes called water warts) is a viral infection of the skin, most common in children under 10. Once someone has the virus the bumps can spread to other parts of their body by either touching or scratching a bump and then touching another part of the body. Based on Laura’s symptoms I prescribed a Homeopathic remedy, specifically tailored for her. 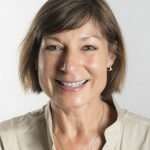 Homeopath’s recognise that 10 people suffering from eczema are often likely to need a different remedy because they experience their symptoms differently. A week after taking the homeopathic remedy, Laura’s mother informed me that all of the pimples on Laura’s legs and arms had dried-up or were drying up. She had one new patch under her left armpit, but generally things were improving. 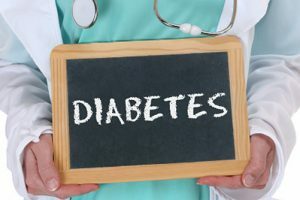 Jennifer, a young girl of 11 years was brought in to see me because she was suffering with recurring sore throats and had a chronic fear of going to sleep. A diligent and bright student, Jennifer set herself ambitious, academic goals. She however, was scared of the dark and worried about what will happen when she finally fell asleep. This fear of closing her eyes and succumbing to sleep was so disturbing that she would feel sick with anxiety when even thinking about going to bed. This affected her appetite to a point where she was hardly eating anything. Consequently, she looked thin and felt very tired all the time. Jennifer’s mother was at a complete loss as to how to help her daughter. 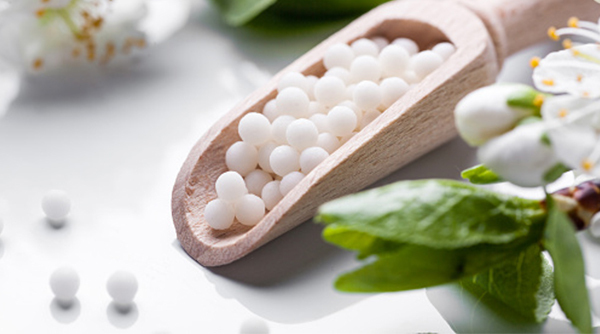 Homeopathy is very effective in treating anxiety, sleeping disorders, fears, and phobias. Homeopathy places equal importance on emotional and physical wellbeing. I prescribed Jennifer some homeopathic remedies and was keen to see her in one month. At the follow-up consultation, by which time Jennifer had taken her individually prescribed remedy 3 or 4 times there was a significant improvement (excluding the first night when she woke up 3 times) . Jennifer’s sore throat had cleared up and she was able to fall asleep more easily. She no longer experienced anxiety about sleeping and her appetite had improved. A small, pale toddler of 2.5 years was battling with constipation for a significant time when her mother brought her to me. She was a shy little girl, retreating behind her mummy and too timid to look at me. The bags under her eyes looked dark and itchy and she also had minor patches of eczema on her arms and legs. I prescribed a homeopathic remedy and within a week of taking the remedy the constipation had sorted itself out and the skin around her eyes were normal. She still had a few tiny patches of dry skin on her arms and legs though. At her follow-up appointment six weeks later, her mother informed me that she suffered a minor acute digestive problem the week before. I prescribed another dose of her remedy to rebalance her system and to improve the remaining patches of eczema. This time, I noticed a big change in the toddler’s confidence. When she came into the consulting room she did so without hesitation, she played with her toys, and when spoken to responded. Her mother said it was a marked improvement and as the little girl was about to start nursery school a welcome development. My son was diagnosed with a rare lung condition when he was 3 weeks old. The lung did not develop correctly, causing extreme shortness of breath. He has now had an operation to remove 2/3 of his diseased lung, which has dramatically improved his condition but as a result he does often suffer from a weak chest when it comes to colds and flu. In the past we have had to use a Ventolin inhaler and nebulizer to help him to breathe. For almost a year now we have used homoeopathic remedies at the onset of a cold to help reduce the chance of the infection going to his chest – I am happy to say so far so good! As we have seen our fair share of doctors in our son’s first years we always look to alternative, homoeopathic remedies before visiting the GP! I have two daughters aged 4 and 7. Whenever I or the kids have suffered from coughs and colds we have gone to Mina for Homeopathy. The remedies have really helped! My kids have not had to consult the doctor or be on antibiotics like a lot of my friends’ children. We would always try Homeopathy first before going to the doctor. I relish the challenge of finding the right remedy for each person and immense satisfaction and joy when my patient’s return with renewed vigour and health. I especially enjoy the supportive relationship I develop with my clients and their families. To make a booking with Mina, simply call 2523 7121 or submit the enquiry e-form below.